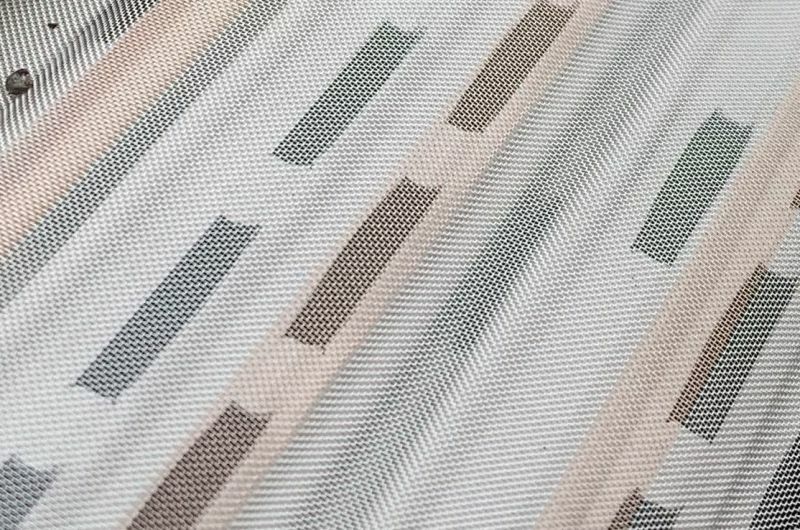 MasterShield’s surgical grade stainless steel screen now includes 3 strips of copper that is factory woven into the micro mesh screen. 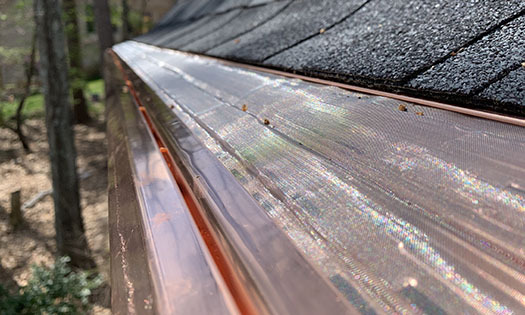 Copper naturally breaks down organic matter, such as algae and moss, in order to keep the screen clean and free-flowing. Copper infused stainless steel micro mesh screen is available exclusively from MasterShield! MasterShield can withstand 20 lbs of material on its surface and up to 4 feet of snow and ice. 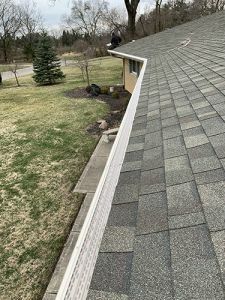 Whether you live in a heavily wooded area or a cold climate, rest assured that MasterShield is up to the task of protecting your gutters and home year round. Unlike PVC and plastic gutter guards, MasterShield’s aluminum frame will not collapse, warp or deteriorate. 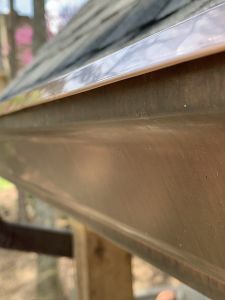 You might be surprised that a gutter guard with such a fine screen can handle high volumes of water, but MasterShield draws water through the tiny screen openings while effectively shedding leaves and debris. If you’re looking for a gutter guard that will handle large volumes of water while keeping out all leaves and debris, look no further than MasterShield. MasterShield is covered by 9 patents. That’s right. Nine patents. It consists of a one-piece aluminum frame with a series of downward louvers integrated into the frame. MasterShield’s copper infused stainless steel screen is securely crimped into place over the louvers during the manufacturing process. With its adjustable forward slope, MasterShield easily sheds leaves, pine needles, and organic matter such as algae and moss. Colors. Colors. And more colors. 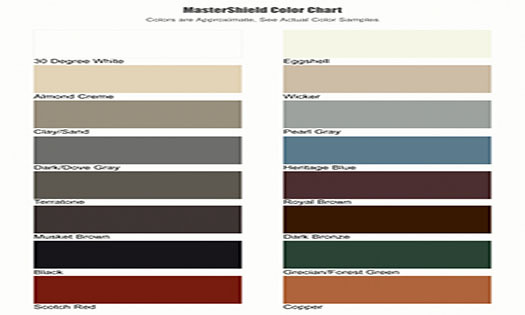 MasterShield matches the most popular gutter colors. Its available in 15 colors + solid copper. Mastershield not only looks great, but it works even better! MasterShield is guaranteed to keep your gutters clog-free or your money back! If the gutters clog and cause water damage to your home, MasterShield will pay your insurance deductible up to $1,500. Plus, it includes a lifetime transferable warranty. Your investment in MasterShield will protect your home from water damage no matter the season. 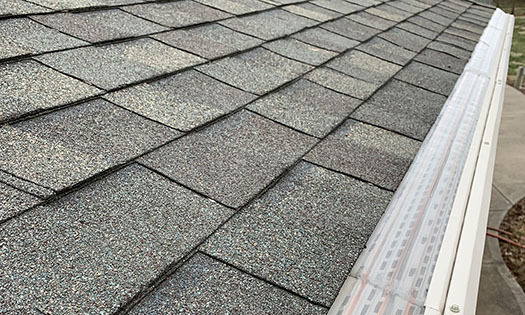 With its comprehensive no-clog warranty, MasterShield offers more than a decade of proven performance on millions of feet of gutters. MasterShield’s technological advances offer peace-of-mind by capturing water, shedding debris, and keeping loved ones and you off the ladder. 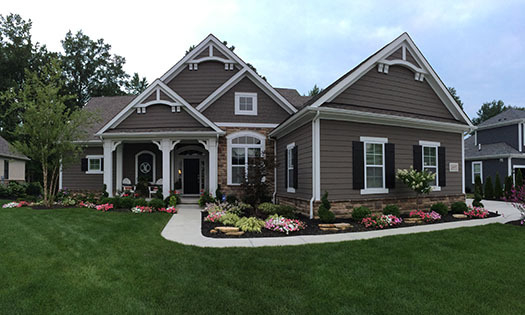 Properly functioning gutters are a key component to a healthy and sound home. 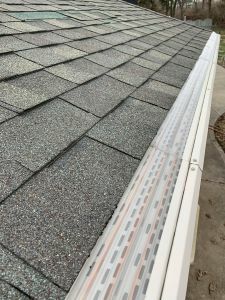 Improperly functioning gutters cause water overflow that will damage your home’s exterior, foundation walls, and flood basements — leading to thousands of dollars in damage & repair bills! An investment in MasterShield micro mesh gutter protection is the key to permanently eliminating costly water problems. 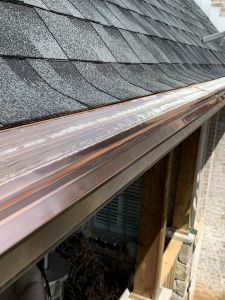 With MasterShield gutter guards, you will benefit from the performance and style of the ultimate gutter protection system on the market. Spark your imagination and see what MasterShield gutter guards can do for you!